But I did. I HAD to make it. Pinterest made it look so appealing and easy and organized. I physically couldn’t stop myself from making it. 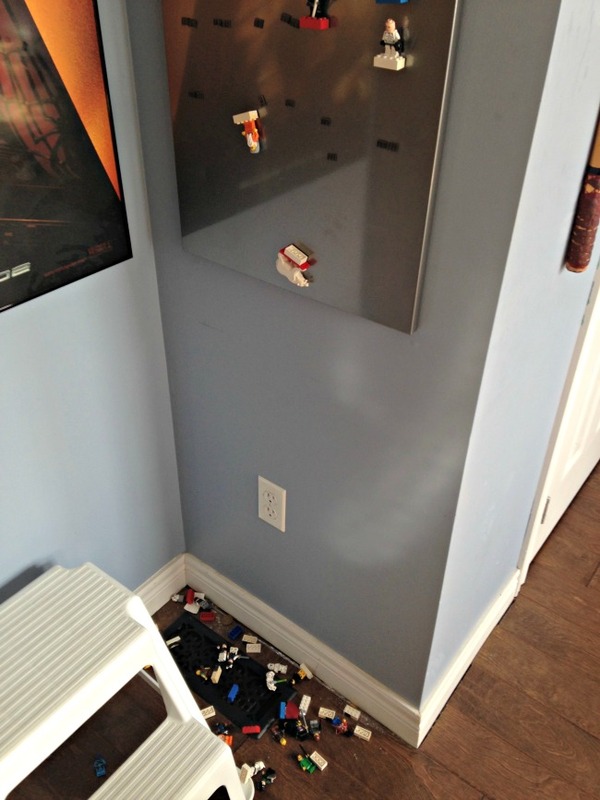 It took me bleedin’ hours of digging to find all those little heads rolling around in the bowels of the Lego bin. 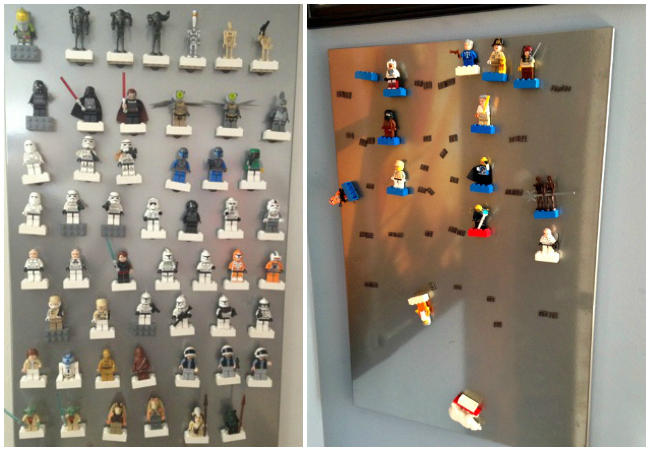 And hours more to stick on the magnets and assign each neatly appointed figure to its own magnetic Lego perch. Seems the key to the success of this project is Krazy Glue. I skipped over that part in the instructions—I used “peel and stick” magnets, which turned out to be “peel and stick it where the sun don’t shine” magnets. I tried to remedy the situation by reinforcing the magnets with white glue. Well, white glue is not Krazy enough which became audibly apparent as mini-figures plummeted to the floor all night long. Each clack onto the wooden floor resulted in gales of laughter from my son and husband who found my craft fail to be highly entertaining. Whatever. Let them laugh. I can’t hear them anyway. I’m too busy making the zucchini chip recipe I pinned last night.